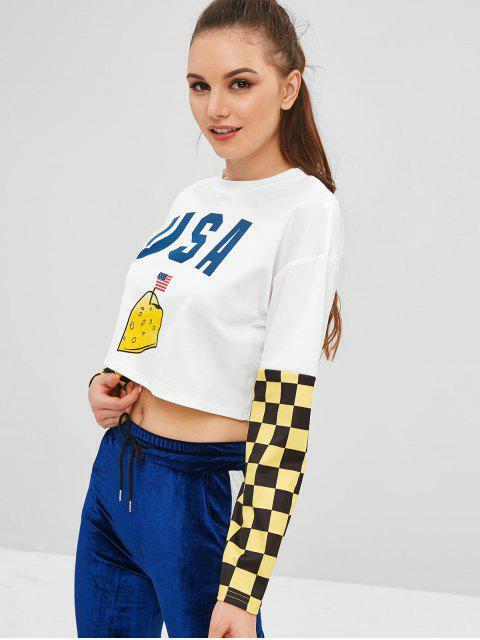 [44% OFF] 2019 Checkered American Flag Cropped Tee In WHITE | ZAFUL .. There is no reason to refuse a fun tee, just like this long-sleeved graphic tee. 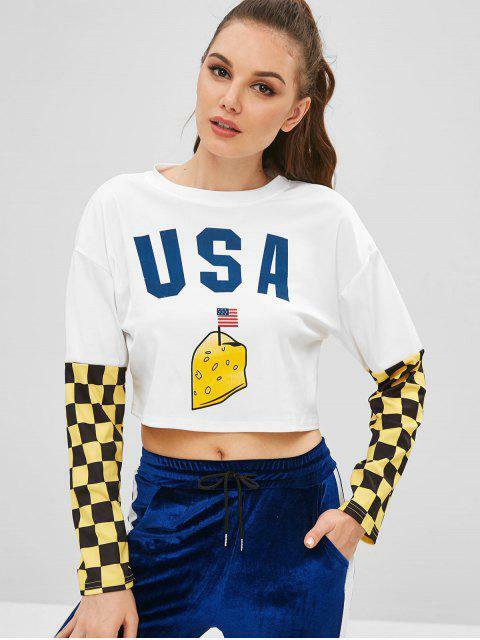 Cut with the American flag graphic on the front and the checkered pattern for a contrasting, playful look, this tee is the perfect cropped style looking great styled with your favorite jeans or shorts.